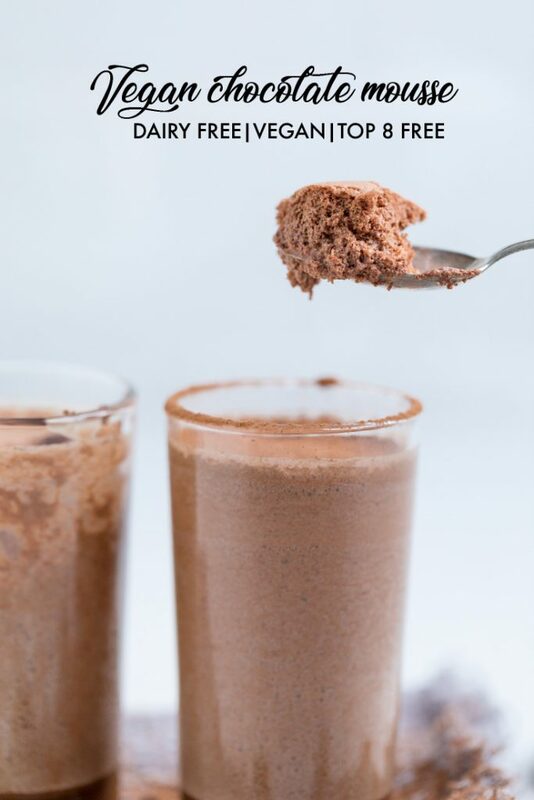 This easy vegan chocolate mousse is delicious and the perfect light as air chocolate dessert recipe. Just 5 ingredients needed to make this incredible dairy free chocolate dessert. Chocolate is the love language for so many people. 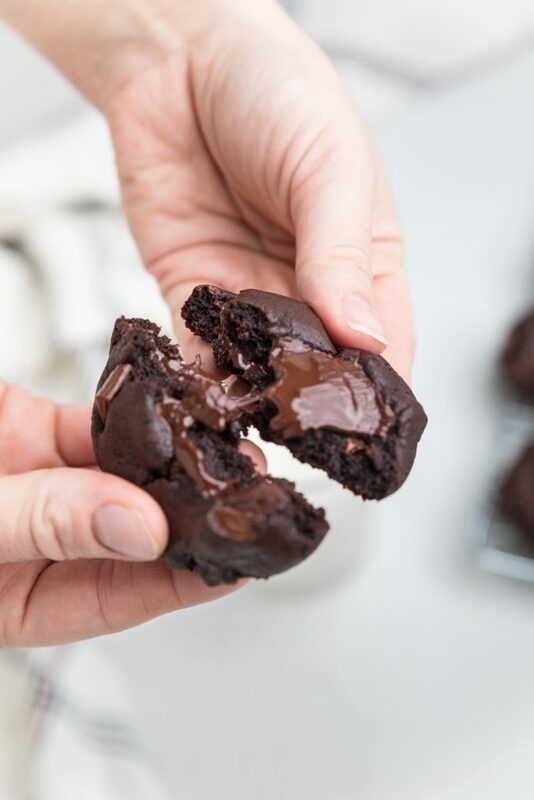 There really are so many ways to love chocolate, like chocolate cake or triple chocolate cookies. Sometimes even a simple piece of chocolate can end a sweet tooth craving. But there are also plenty of chocolate desserts that intimidate many people. Vegan Chocolate Mousse is one of those desserts. 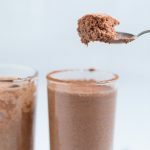 However, I’m here to tell you that you truly can make this incredible dairy free chocolate mousse recipe with just a few ingredients and a little bit of time on your hands. 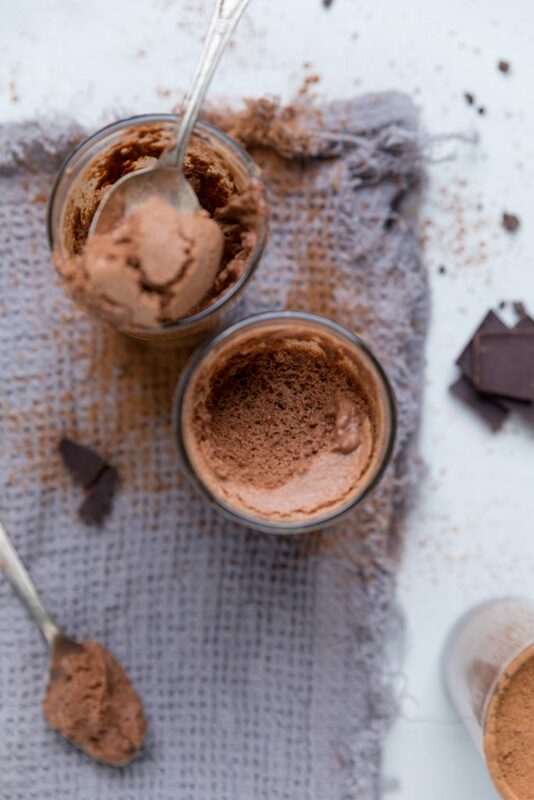 What ingredients do you need to make Vegan Chocolate Mousse? 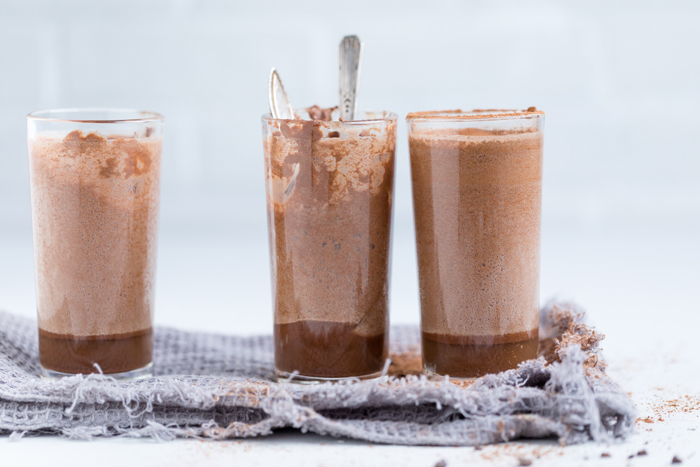 This dairy free chocolate mousse actually comes together fairly easily. You start by melting the chocolate chips or bars down over a double broiler or carefully in the microwave at 30 second intervals. If you are using the optional cocoa butter, then you would add that with the chocolate and melt at the same time. In a large bowl, add the aquafaba and whip in a stand mixer or with a hand mixer until stiff peaks form. This takes about 10 minutes. You want to be able to turn the bowl upside down without the mixture falling out. Add the powdered sugar and beat with a mixer. Then, add in the melted chocolate and vanilla and fold into the aquafaba mixture. Sprinkle the salt in and carefully fold again. Then, pour into desired glasses and place in the refrigerator to chill for 6 hours or overnight. 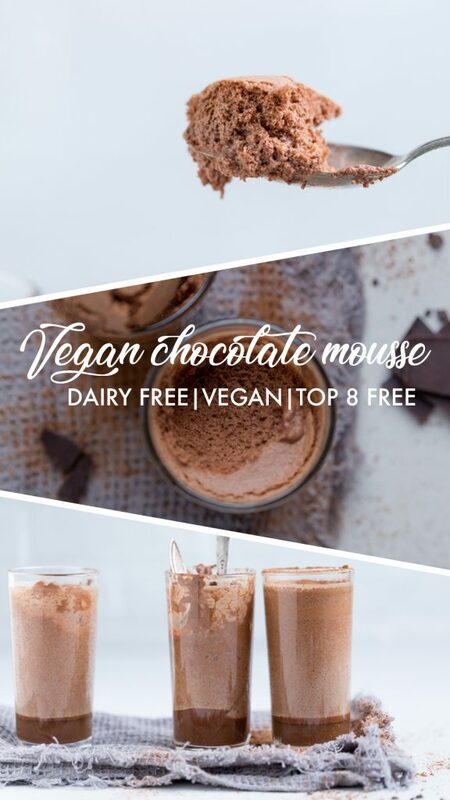 Can I make this Top 8 allergy friendly vegan mousse? 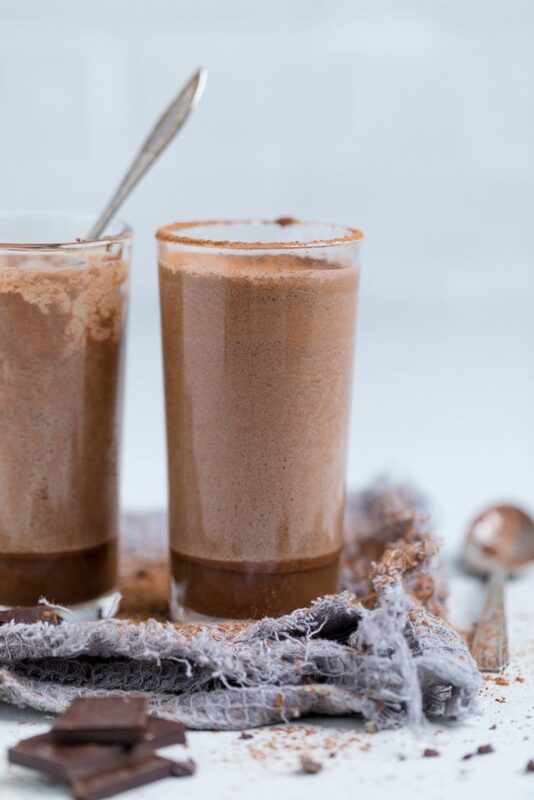 In our recipe we use Enjoy Life chocolate chips and melt them down to make this dairy free chocolate mousse recipe. By using that chocolate, this recipe is already a Top 8 allergen friendly chocolate mousse. Depending on your particular allergy, you will want to double check the chocolate that you are using. Otherwise, this recipe does not contain any of the major allergens. What are other dairy free chocolate desserts I should try? Start by melting chocolate chips down over a double broiler. (*See post if microwave is preferred). **If using optional cocoa butter, then you would add that with the chocolate and melt at the same time. In a large bowl, add the aquafaba and whip in a stand mixer (or hand mixer) until stiff peaks form, approximately 10 minutes. You should be able to turn the bowl upside down without the mixture falling out. Add the powdered sugar and beat with a mixer. Add in melted chocolate and vanilla and fold into the aquafaba mixture. Sprinkle the salt in and carefully fold again. Pour into desired glasses and place in the refrigerator to chill for 6 hours or overnight. **Nutritional facts are just estimates. Please utilize your own brand nutritional values to double check against our estimates. Does not include optional cocoa butter ingredients.